This credential enables IT professionals to successfully install, manage, and troubleshoot all aspects of Oracle database. OCA DBA 10g and Oracle10g OCP or Oracle Certified Professionals are highly valued and highly paid for effectively managing the industry's most advanced information systems. 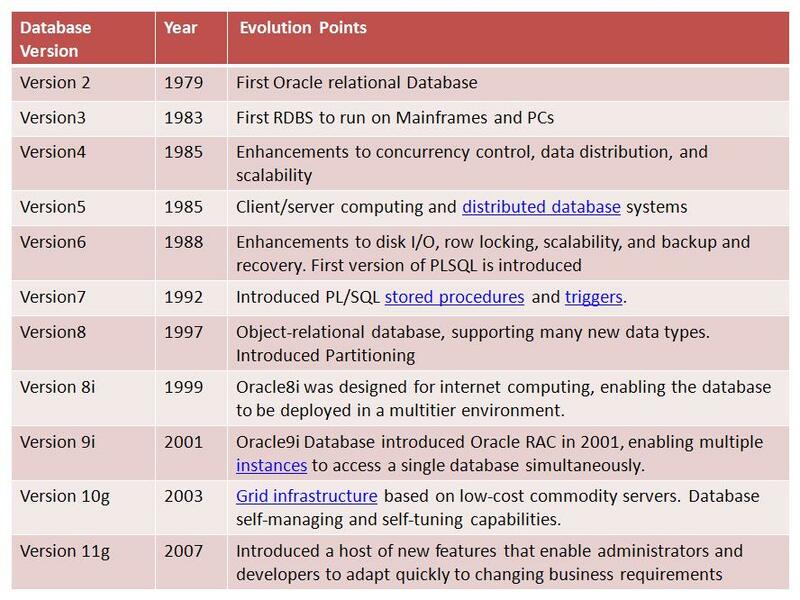 Oracle continues to dominate the database industry. OCP is the advanced level certification in Oracle. Several versions of Oracle are being used in the industry. Oracle 12c is the latest. However, most jobs in the market are still for Oracle 9i,Oracle 10g and Oracle 11g and it is better to take one of them. Candidates must complete one instructor-led course. Step 5 - Complete this form. To Read More about Oracle Evolution Click The Below Link.